One of the great things about aquariums is that they are like snowflakes or fingerprints: they are all very pretty. Oh, also, they are all different! Or, in the case of aquariums, they all have the potential to be different. Sure, you can go for the standard square with a goldfish and one of those strange diver guys bubbling on the bottom, but you don’t have to. An aquarium designer can do just about anything you need. You have a choice on size, on the plants you’d like, and on what kind of fish. But you don’t have to limit yourself to fish- anything that goes in water can be in an aquarium (size-permitting, of course: sorry, blue whale aficionados!). Here are five of the most interesting, most fun, or just most bizarre non-fish alternatives! A crayfish is an unusual but fascinating aquarium pet. Yes, it has “fish” in the name, but that’s a misnomer. This crab-like invertebrate can exist in either fresh-water or salt-water, but is not quite as flexible in terms of desired roommates. It is omnivorous, and will feed on many species of fish, so you have to be careful when deciding what you are going to have with them. But they are interesting on their own. Equipped with an exoskeleton, the crayfish goes through cycles of molting, during which is can become either very passive or very aggressive, and either stop eating or eat everything. They are a tricky and difficult but very rewarding species. There are several different types, so choose one according to your desires. The ghost shrimp is great for maintaining your aquarium, though, contrary to popular belief, it is not an actual ghost. Known to some as the “terrifying translucent spider of the sea,” and to others as “the glass shrimp“, the ghost shrimp is an eerie, non-swimming scavenger that adds a touch of mystery to your tank while keeping it clean. It can thrive in larger aquariums where it has places to hide, as other fish like to eat it. So, in addition to being fascinating-looking, it provides many services to aquariums. And it very rarely haunts your dreams! Starfish are deliberate, but never boring. I’ll be honest- I don’t think I realized starfish were living creatures until I was much older. They seem so sedentary and impossible, like rocks, or deliberate art. But they are alive, and beautiful, and sometimes frightening. Don’t believe me? 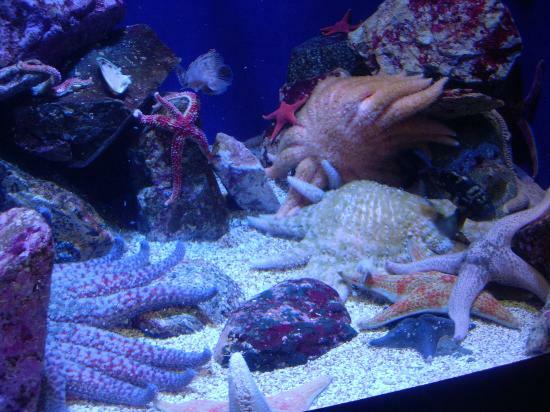 Check out this time-lapse video of sea worms and starfish feeding on the bottom of the sea. It’s that frenzied (if slow) feeding need that makes them both great for an aquarium and difficult as well. They will act as scavengers and clean the bottom of your tanks of any food and waste. But they are voracious, and need to be fed. You can’t just think they’ll feed on the waste and leftovers of others. If you don’t take care, they can waste away and die pretty quickly. Axolotl’s have seen their popularity soar in the last few years, perhaps because they are so strange, or perhaps because they look like they are always smiling, but more likely both. They need a little more room to breathe, as they grow from 7-14 inches, but if you have space a group of axolotls will prove to be charming and intriguing. These amphibians look like lizards and move like fish. They paddle their way through whatever plants and castles you put in with them. Be warned though- their tank either needs to be well-filtered or have its water regularly changed. Believe it or not, this is not a plant. The sea is full of wildness, creatures of a design that has both inspired and outstripped our finest fantasists. 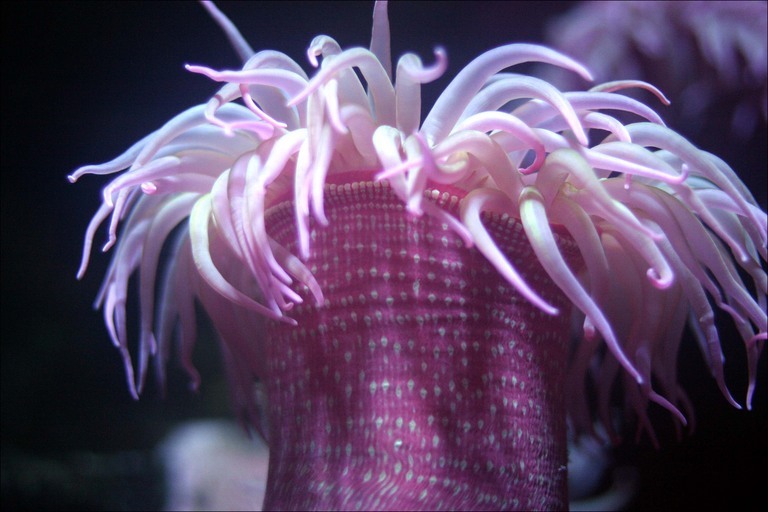 The sea anemone is one of those: it looks like a plant, but is a carnivorous (albeit sedentary) animal, using its branch-like tentacles to pull tiny creatures into its poisonous mouth. But what is terrifying in nature, red in tooth and claw, can be a source of wonder for you, and they sit, devoid of any consciousness, but still somehow alive, and hungry. These aren’t easy to keep, as they need pristine water and certain lighting, but if you have the time and patience, these are amazing conversation starters. So remember, when filling your luxury aquarium, don’t think you have to limit yourself. There are many fish in the sea, but there is a lot more besides that!